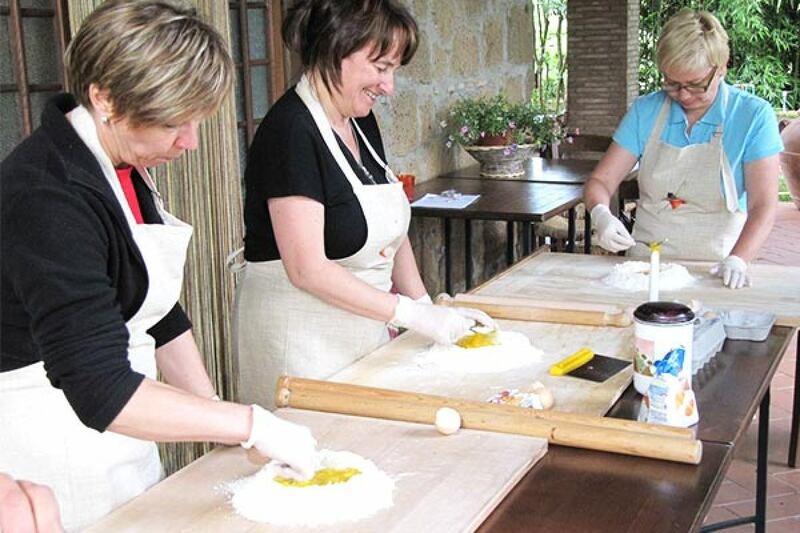 The class will take place in the old Chapel of Saint Mary of Decugnano, where Rosanna, the cook, will introduce you to traditional Umbrian recipes. After the preparation of a four course meal, the food will be served, paired with four different wines featuring the vino Spumante Metodo Classico that made Decugnano dei Barbi famous! Pick up at your Villa TBD. 10.15 am Cooking Class, lunch and wine tasting. 04.00 pm You are back to your Location. Transport service by Mercedes E Class or Mercedes minivan with English speaking driver. Cooking Class and lunch plus wine tasting.